Here’s a quick update from our previous couple days of tour (the backlog of which should be posted without the next day). 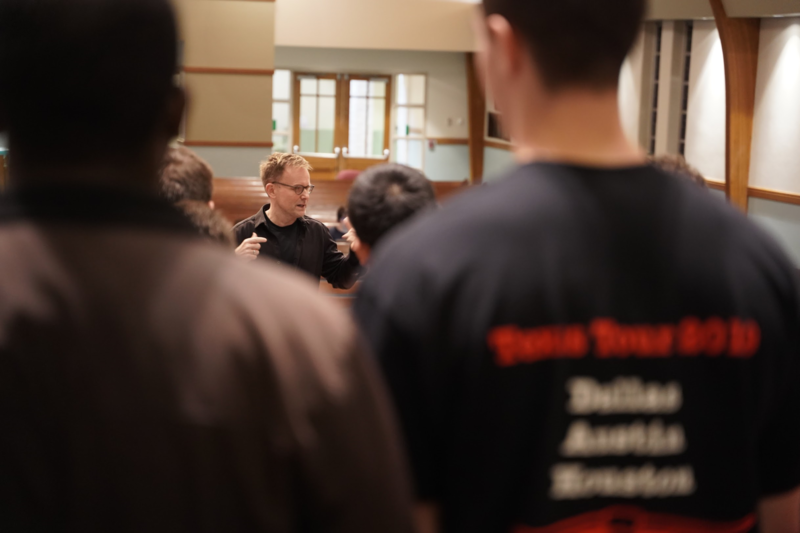 Tuesday began with an early workshop at St. John’s United Methodist Church, where the combined choirs did singing exercises to warm up tired voices before polishing some music to be sung over the next several days. That meeting however, transitioned into an incredible opportunity to workshop with the renowned composer and conductor, Craig Hella Johnson, whose work, “Stray Birds,” featured prominently in Glee Club repertoire over the past semester. Craig’s charisma and kindness were present as he began the session with a poem speaking to the tremendous beauty of individuality. Gleeks preformed “There is Sweet Music Here” by Daniel Gawthrop for Craig and spent the next several minutes working through how vowel shape can express emotion. After the workshop, singers had the opportunity to have lunch with Craig and singers in his group, Conspirare. The entire experience interacting with Craig and his singers will truly be one of the highlights of the tour, and HGC is extremely thankful for their time and advice. 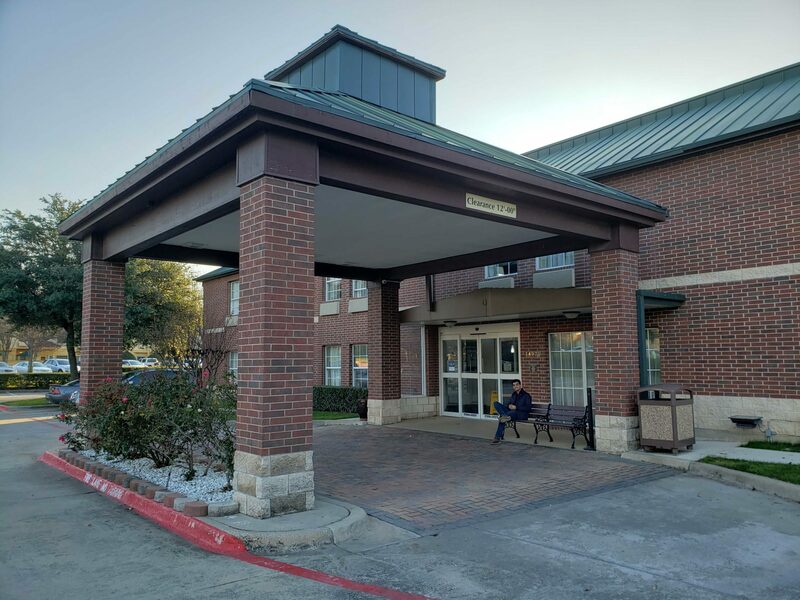 From St. John’s, HGC traveled to the Texas School for the Blind and Visually Impaired, an institution dedicated to helping educate those with visual disabilities throughout the state with students often staying there for the entire week before traveling for return home to their families each weekend. 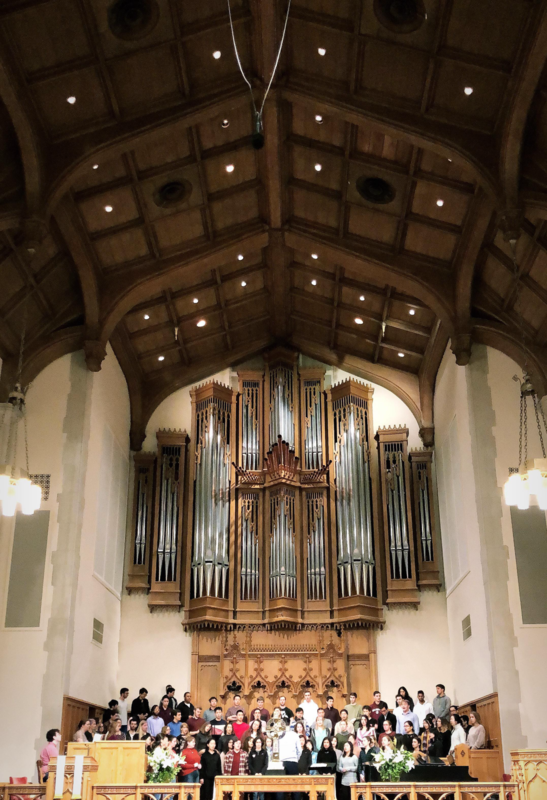 Singers were warmly and enthusiastically received by the crowd and had the opportunity to share some of their favorite pieces from the repertoire over the fifty minutes we had before taking some audience questions. Gleeks left feeling as if they had gaimed more from the students they met there than imparted. HGC finished the day with a dinner graciously provided by the family of Harry Sage ‘22 in their home, followed by the traditional (or so I’m told) viewing of Mean Girls by the group. Coming off a long day, many Gleeks slept in, choosing to recharge after a hectic week. 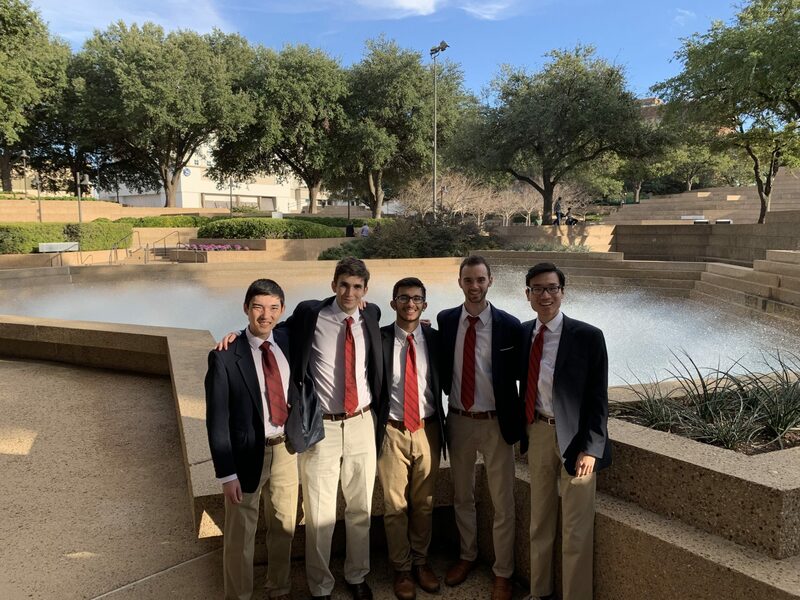 In a bit of a scheduling quirk, HGC had a rare day off this Martin Luther King Jr. Day and took the opportunity to explore the wonderful city of Austin. 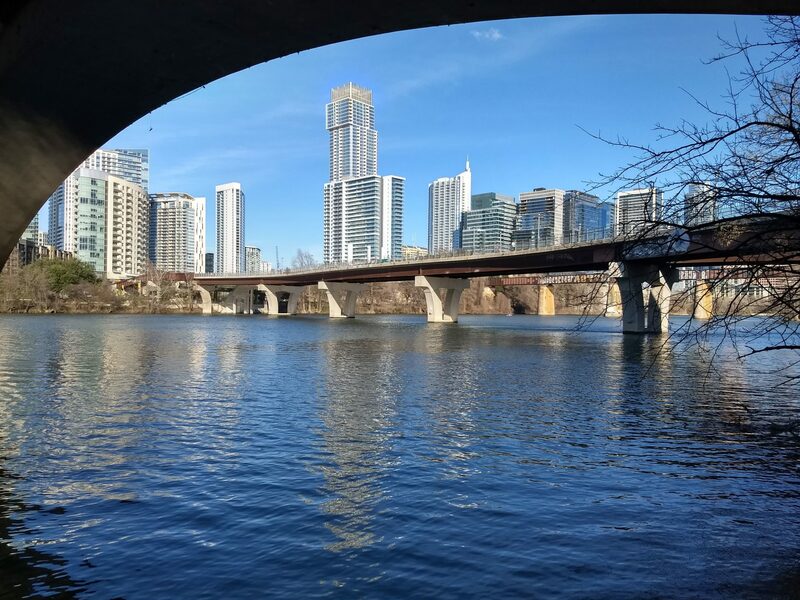 Among the biggest highlights of the day, included the UT Austin Campus, the State Capitol building, and the trail along the river. Many Gleeks ended their day by attending RCS’s fantastic concert with the Austin Girl’s Choir at Shepard of the Hill Church outside Austin. Martin Luther King Jr. 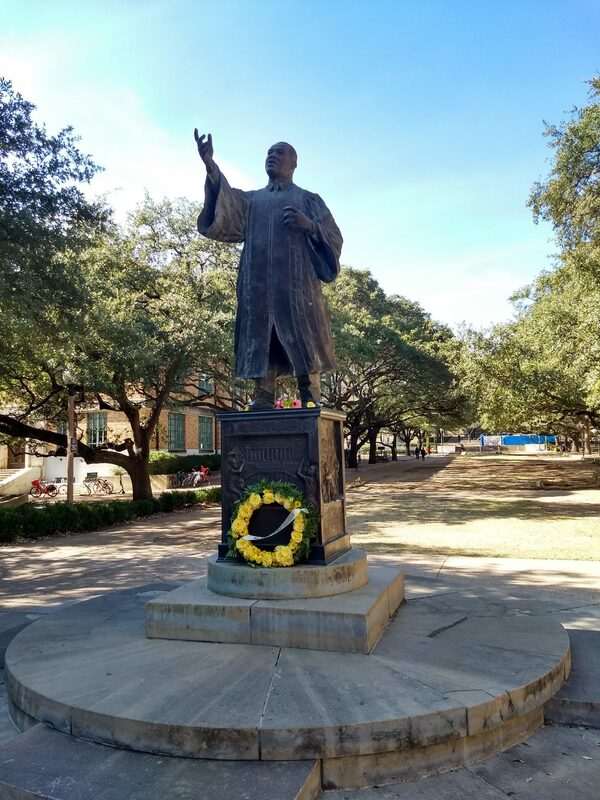 Statue at UT Austin. The trail along the river. Leaving the hotel ar 7.30 in the morning, HGC arrived at Highland Park ready for a quick sound check with RCS. 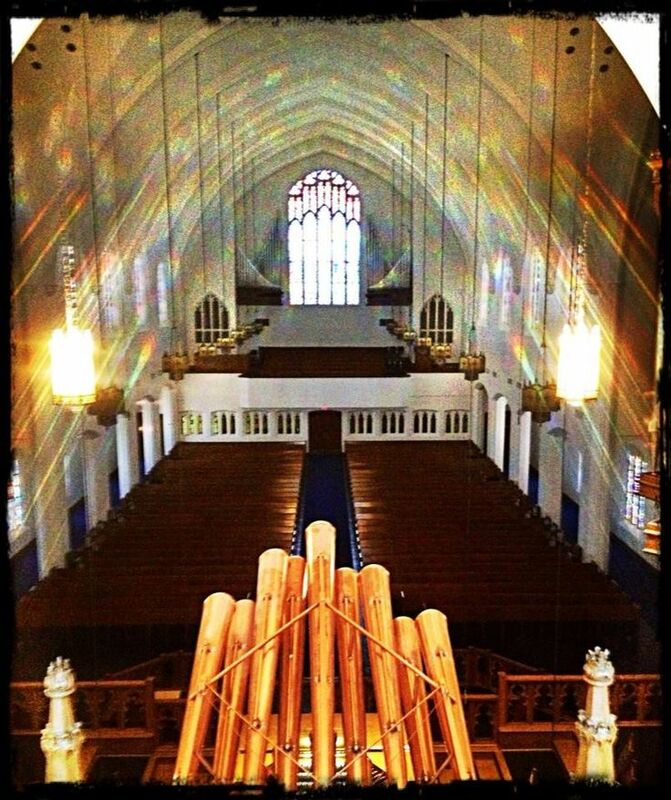 With the first Sunday service beginning at 8:45, singers brushed up on Felices Ter (Thompson), Will the Circle Be Unbroken (Moore), and the second movement of the Poulenc Gloria. HGC and RCS led the congregation through the early morning service with more energy than was expected for such an early start. That momentum carried through the second service which began after an hour break. Throughout the morning, the congregation remained extremely engaged, a notable example being an extremely devout spin instructor who managed to attend both services (or so the homilist said). After the last service, singers had the opportunity to rest over lunch in the youth center of the church (from which House common room designers could probably take some notes). As expected, Glee Club members immediately gravitated towards the games in the youth center including Super Smash Bros, air hockey, and table tennis. Shortly after a sound check, the choruses gathered one final time in the sanctuary for an afternoon concert. Beginning with the entirety of the Poulenc Gloria, RCD moved into their set which ended with the Radcliffe alma mater. After performances from Cliffnotes (the RCS subset) and HGC Lite, Gleeks took to the stage for their part of the concert, beginning with the Victoria and ending with Football Songs. As a finale, both choruses and alumni took the stage for one last time for a rendition of Fair Harvard. 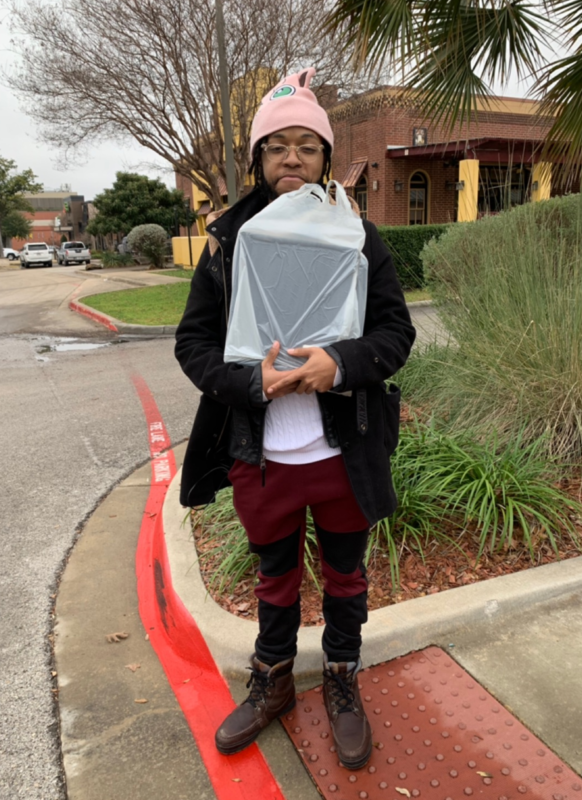 After the concert, tired singers scarfed down a pizza dinner and then boarded buses destined for Austin (about a 3 hour ride) where they would meet their wonderful homestay hosts before going to bed (a sequence of events that resulted in this tardy update to the tour blog). 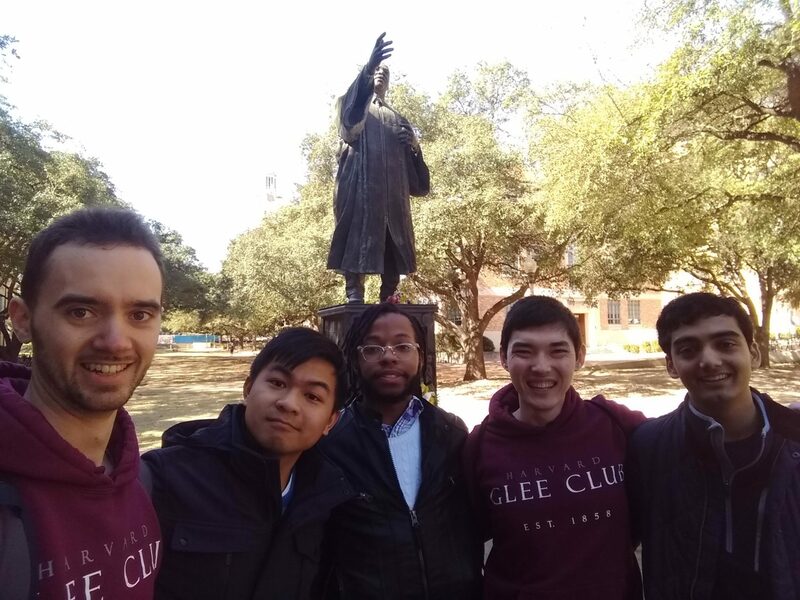 The third day of tour began bright and early for Gleeks as they traveled from homestays to the Fort Worth Academy of Fine Arts. 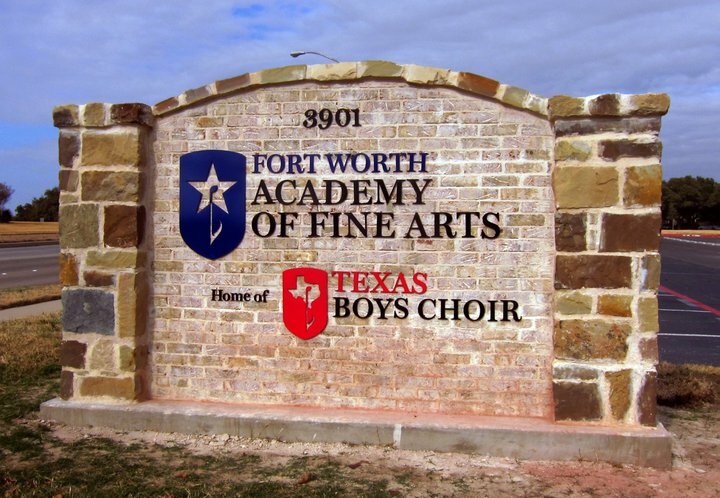 Situated in South Fort Worth, the Fort Worth Academy of Fine Arts or FWAFA (FFF-WAH-FAH) as it is referred to by locals is home to the talented Texas Boys Choir. 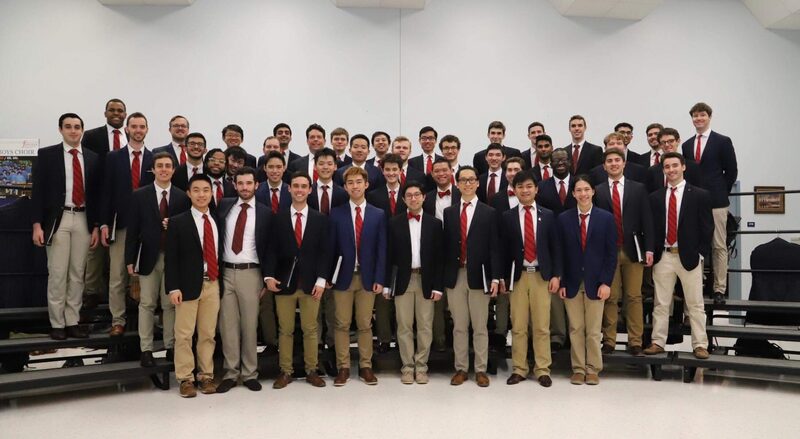 Practicing for two hours, five days a week, the Texas Boys Choir is among the most prestigious singing groups in the region. 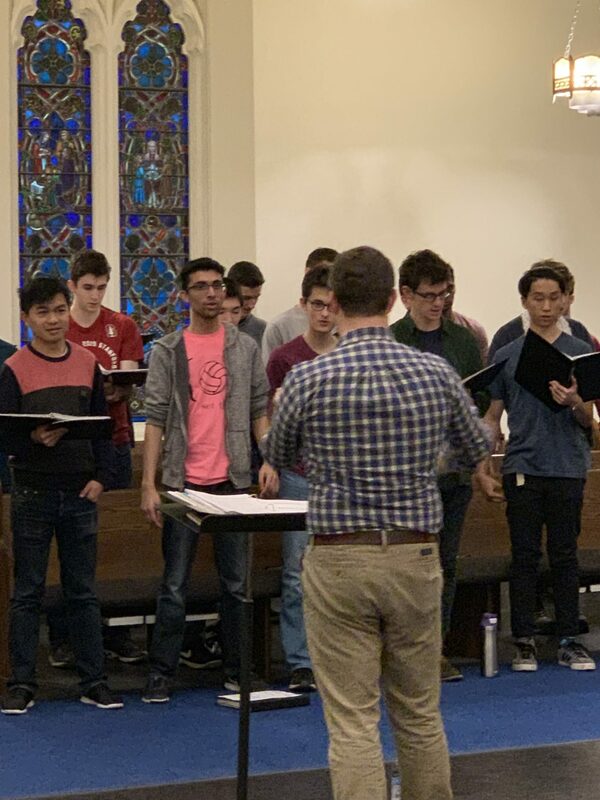 At FWAFA, HGC reunited with our conductor, Andy, to polish up a few pieces to be sung for an assembly of the entire FWAFA student body–a group whose enthusiasm manifested in greeting HGC with shouts of “Radcliffe” during the Harvardiana Suite. After the concert, singers engaged in a Q&A session with FWAFA students on subjects ranging from favorite repertoire to Sicko Bomba (whatever that means). HGC at FWAFA, pc Dylan Zhou ‘22. 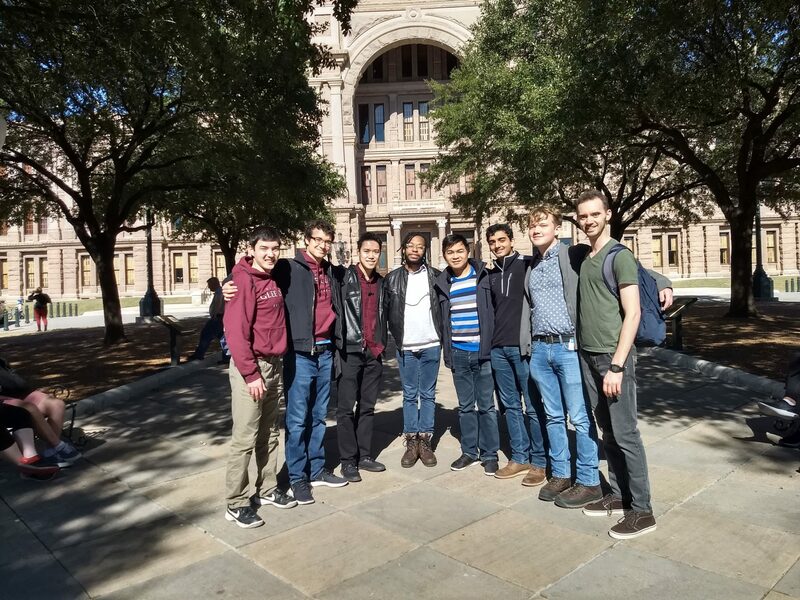 From there, Gleeks went to another rehearsal to check on the status of the joint repertoire to be performed in conjunction with the tenor-bass component of the Texas Boys Choir (If Ye Love Me by Tallis and The Lamb by Fenno Heath). After rehearsal, HGC proceeded to a pizza lunch with members of the Texas Boys Choir. Gleeks left FWAFA excited about their collaboration later that day and secure in the knowledge that uttering the phrase “I know Joey Toker ” would result in instant street cred with any FWAFA student. Singers returned to Broadway Baptist Church later that afternoon to rehearse for the concert that evening. Coming at an ideal time, Gleeks then had a mid-afternoon break to recuperate and explore the surrounding area. Gleeks visit a local park during break. After a final sound check with the Texas Boys Choir, HGC had dinner with the students before changing into tails. 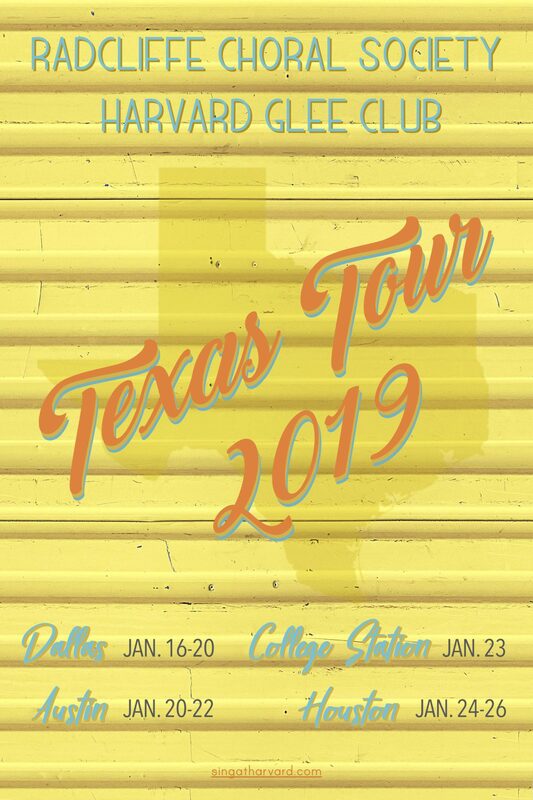 Beginning with Stray Birds by Craig Hella Johnson and O Regem Coeli by Tomas Luis de Victoria, the concert was an excellent opening to tour and an amazing opportunity to collaborate with such a dedicated group as the Texas Boys Choir. 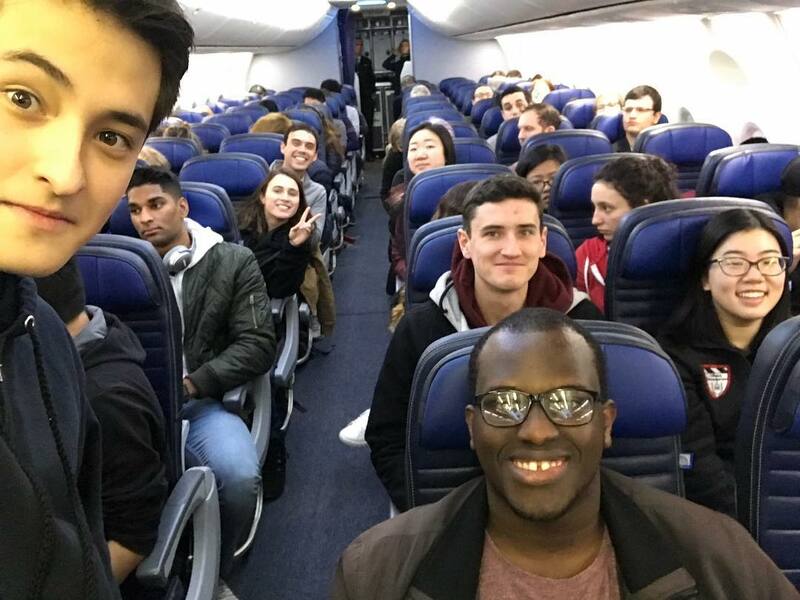 From Broadway Baptist Church, Gleeks returned to their homestays to rest before rejoining RCS in Dallas the next day.